Do you need a reason to book a last minute flight to Vegas this weekend? The Las Vegas Startups Meetup is putting on a one day workshop to give your hardware startup the building blocks to launch a company. The speakers will be Andrew Bogarri, Eric Jennings, Gian “John” Brown, Joe Born, Gerard Casale, and our own David Schroeder. There will be a variety of topics covered related to building your hardware startup that range from building your MVP and raising capital to getting your product to retail. A common myth in the hardware startup world is that you need to go to China to manufacture; however a recent article on The Channel stated that 50% of hardware startups will be manufacturing in the US in the near future. David Schroeder will be leveraging his background in manufacturing and will discuss the differences between domestic and overseas production. Come check out the event and be a part of growing Vegas tech community! Check out our blog next week for a recap of the event. 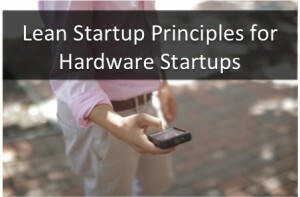 Most entrepreneurs are familiar with how the Lean Startup principles apply to general technology and software products, but are less aware of how important it is for hardware. The added investment of not only time but hard costs for manufactured goods makes it that much more crucial to be efficient. Scott published a post last October with some general thoughts about applying Lean to a Hardware Startup, I thought I would follow up with a few specifics. Make sure what you are designing is available and can be manufactured at scale. Be careful of both obsolete and brand new products in the electronics market. Nothing is worse than ramping up production only to learn that the hottest new component the sales guy told you about is actually not going into production or has a 36-week lead-time. We’ve seen it happen. Make sure what you are designing is readily available. Work with a manufacturer who brings valuable feedback to the table. Your manufacturing partner should be providing you with feedback to make sure your product can be easily manufactured. This is known as design for manufacturability (or DFM). There will always be something that needs to be changed/updated/modified on your product, but there is no reason to add to that list as long as your manufacturing partner can provide you with the right feedback. Find a small, trusted group of users for testing. One avenue we’ve seen hardware startups take is to start with a small production run of their product and release it to a select group. This is a trusted group who can provide you with honest feedback of how the product is going to be used in the real world. Maybe there are some features that you thought were critical, but no one actually uses. This group can be very helpful in creating efficiency for your manufacturing process in the long run. Can you recall a “constructive collision” you’ve encountered at a recent networking or trade show event? I can. And it’s the main reason why I try to attend so many events each year. Networking is great, but it’s the opportunity to brainstorm or come up with new solutions and ideas on-the-spot that gets me really excited. These are the main events that I have on my radar this year. What about you? 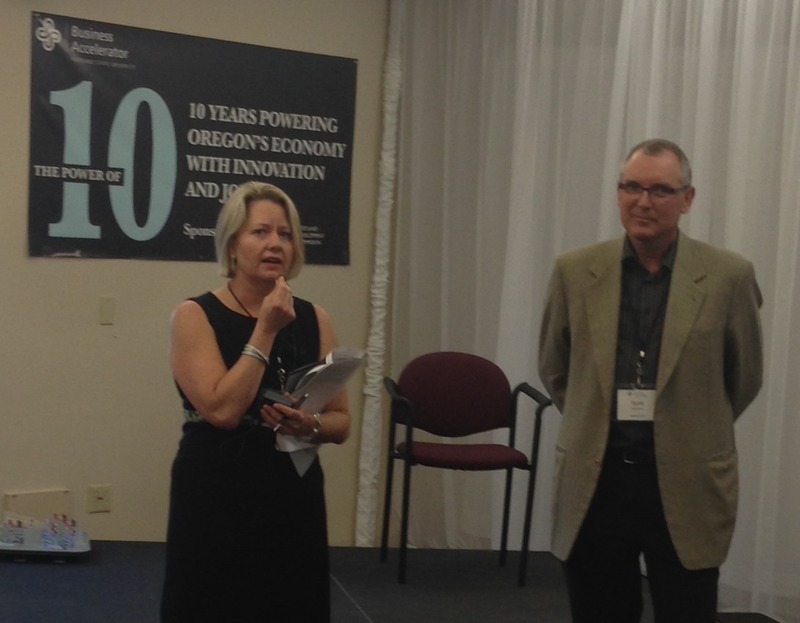 Oregon Entrepreneurs Network (OEN) Angel Oregon Spring Showcase – April 16 in Portland, Ore. This is a fast-paced program to hear about the newest up-and-coming innovators in the region. Southern Oregon Angel Conference – April 30 in Jacksonville, Ore. A VIP networking event is planned for the day before, but the real deals will be made on April 30 when finalists go head-to-head for Southern Oregon investment. Willamette Angel Conference – May 8 in Eugene, Ore. This is the largest angel group in the state, and it spans a diverse group of startups and industries. Great place to take a pulse of startup activity in the region. OEN Entrepreneurial Summit – June 6 in Portland, Ore. This is a great learning opportunity to hear the stories and experience of leading entrepreneurs. Last year, RelianceCM was the presenting sponsor of the event. Highly recommend attending! TechCrunch Seattle Meetup – June 12 in Seattle, Wash. If anyone has a pulse on the startup scene in the country, it’s the editorial team at TechCrunch. This local event is part of a nationwide series where TechCrunch editors lead the pitch-off. TechFestNW – August 15-16 in Portland, Ore. This year marks the third annual TechFestNW, part of the popular MusicFestNW. Focused on the theme of UX this year, the event features speakers, a career fair, an expo hall, parties and networking opportunities all around. These are the ongoing local meetups that I regularly attend. Hope to see you there! Addressing a growing need and opportunity in the connected devices category, Portland State University (PSU) Business Accelerator and RelianceCM have partnered to introduce a new Hardware Cluster. This new partnership aims to address the specialized needs of smart device startups, such as manufacturing, engineering design considerations, and supply chain. Of the 30 startups in the PSU Business Accelerator program, approximately 15 percent are poised to participate in the new Hardware Cluster. Angela Jackson introduces Scott Schroeder of RelianceCM as Strategic Partner in Residence for new Hardware Cluster at PSU Business Accelerator. As a Strategic Partner in Residence, RelianceCM will provide hardware startups in Oregon with unprecedented access and mentoring for the unique needs of today’s smart devices, such as engineering and U.S.-based manufacturing consultation. RelianceCM will contribute a full breadth of hardware startup resources by working with its industry partners, including an Indiegogo Partner Page, Palo Alto Software, and Oregon-based Rigado for engineering expertise. The new Hardware Cluster will also serve as home to the recently established PDX Hardware Startup Meetup to help strengthen the entire connected devices community by creating a space for constructive collisions. I’m often amazed at the ingenuity and creativity from today’s hardware startups. This was especially true when I was at CES earlier this year. I spent my time at the show in the Eureka Park area since that’s where the startup action takes place, and besides, you can only look at so many different curved TVs on the main floor. Onewheel – I first heard about this product when I met the founder, Kyle Doerksen, at a San Francisco Hardware Startup Meetup. TechCrunch described Kyle’s invention as a “magical self-balancing electric skateboard…” That about sums it up! And it’s every bit as awesome to ride as it looks. Onewheel’s Kickstarter campaign ended Jan. 27 with $630,000 in funding, congratulations Kyle! Power Pot – Do you ever look at a product and say to yourself, “Why didn’t I think of that?” That was my first thought when I stumbled across the Power Pot, a USB generator that’s powered simply by boiling water. Being from Oregon, I can appreciate the convenience of the Power Pot. I’d love to use this for charging my phone, tablet, or GPS products when camping or hiking. Lumenplay – One of the top trends I noticed at the show this year was LED smart phone controlled lighting products. What I liked best about Lumenplay was that it’s designed to be used with a string of lights. That extends the possibilities way beyond the holidays for use all year long. Think about uses for patio lights or parties, especially when synced to your music. What were some of the latest hardware startups that have caught your attention?